On this training course you will be given an opportunity to develop your leadership and communication skills in a positive Irish environment. High standards are maintained on this course to enable you to practice your authority and responsibilities when leading others. The main aim of the course is to give you the confidence to stand out from the crowd, be as effective as possible and develop your personality while dealing with young people. Interviews are carried out with all students during the course to asses your standard of Irish, your ability to communicate and undertake this important role. There are a limited amount of positions for Cinnirí each year. Attending the course does not guarantee a job as a Cinnire. Please note that Cinnirí must be under the age of 18. The Cinnire has a very important role in the Coláiste. This is a challenging role which carries many responsibilities. The Cinnire helps create an Irish atmosphere in the local bean an tí accommodation and in the Coláiste. 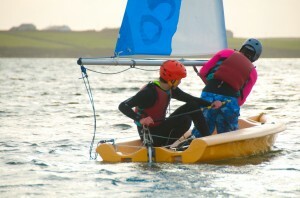 They are given opportunities to take part in the water sport and adventure activities. The Cinnire can use the role to improve their own standard of Irish as well as their communication and leadership skills. Do you want to become a “Leader”? This Course only runs during the October mid-term break – book early to avoid disappointment, numbers are reduced from the standard courses to ensure everyone gets time to shine and become our next generation of Cinnirí.